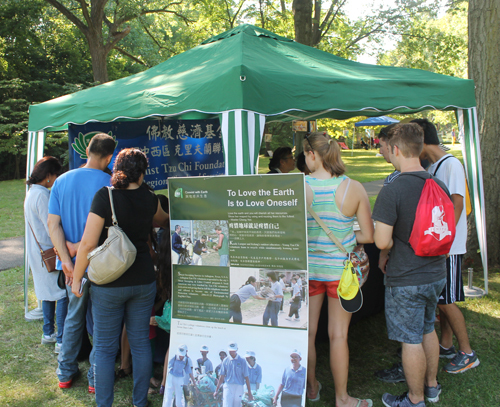 The Buddhist Tzu Chi Foundation was a popular destination for the 24,000 attendees of the 2106 One World Day in the Cleveland Cultural Gardens. 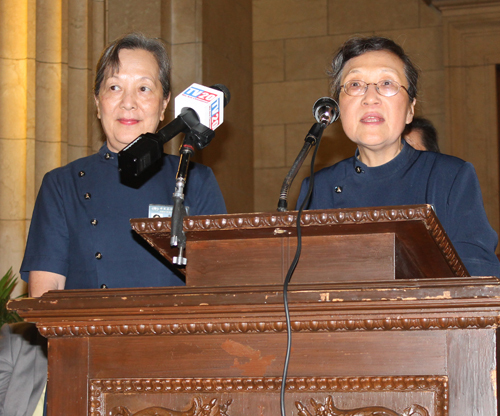 The Quan Am Temple in Cleveland, Ohio celebrated its 10 year Anniversary on July 20, 2014. Thanks to Le Nguyen for this video. 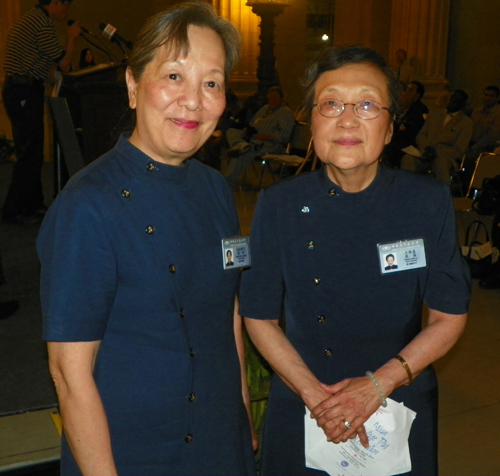 The shared goal of Tzu Chi volunteers is to cultivate sincerity, integrity, faith, and honesty within while exercising kindness, compassion, joy, and selflessness to humanity through concrete actions. Transcending the bounds of race, nationality, language, and religion, they serve the world under the notion that "when others are hurting, we feel their pain; when others suffer, we feel their sorrow". 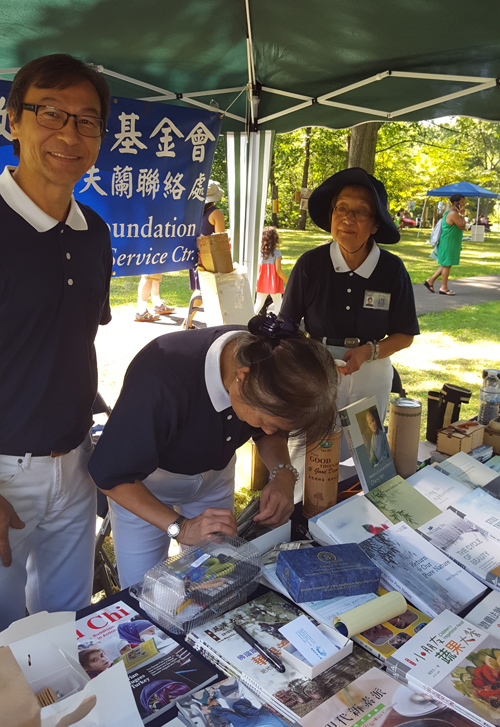 Not only do the volunteers endeavor to promote the universal value of "Great Love," they also fully employ the humanitarian spirit of Chinese culture to its utmost. 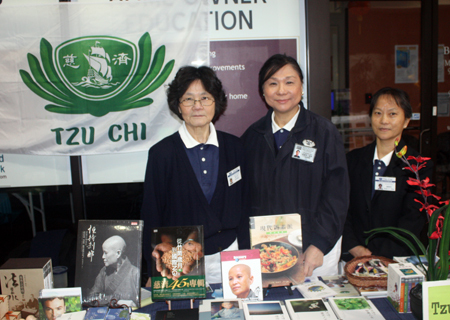 Tzu Chi Foundation's "Four Major Missions" consist of Charity, Medicine, Education, and Humanity. Typhoon Haiyan, one of the most powerful typhoons ever recorded, left behind a wide swath of destruction in the Philippines on November 8, with the highly populated city of Tacloban hit hardest. Currently, death toll estimates reach as high as 10,000, and as rescue efforts have been slowed by the enormous scope of the disaster region, casualties may continue to rise. In addition, countless people have been left without homes, in dire need of food and clean drinking water. Buddhist Tzu Chi Foundation has already launched its disaster relief effort and prepared 200,000 individual servings of instant rice meals and 30,000 blankets to be shipped to the disaster region. On November 12, the first shipment of 30,000 blankets and 60,000 instant rice meals departed for the disaster region via C-130 military transport aircraft. From November 13, disaster assessment and medical teams comprised of 40 Tzu Chi Philippines volunteers will fly from Manila to Cebu and then to the disaster region to begin the first stage of disaster assessment and relief for survivors. The disaster assessment team will be carrying 1500 packs of toiletries and daily necessities to meet the immediate needs of disaster survivors. The medical team, comprised of 10 doctors and nurses from Tzu Chi International Medical Association (TIMA), will help provide immediate medical services to those who need them. Following initial assessment, volunteers will provide care and relief according to the specific needs of disaster survivors. Disaster relief on such a massive scale is not new to Tzu Chi, whose volunteers in the United States have provided relief after 9/11, Hurricane Katrina, Hurricane Sandy, and the 2010 Haiti earthquake, among other major and minor disasters. In just the first two months after last October�s devastating Hurricane Sandy, volunteers provided nearly $10 million in emergency cash aid and more than 9,000 blankets to approximately 16,000 affected families throughout New York and New Jersey. Following the principle of �first to arrive and last to leave,� volunteers continue to support especially vulnerable communities even one year later. Tzu Chi National Headquarters in San Dimas, CA, invites donations of relief funds and kind thoughts from individuals across the United States to send to disaster survivors in the Philippines. 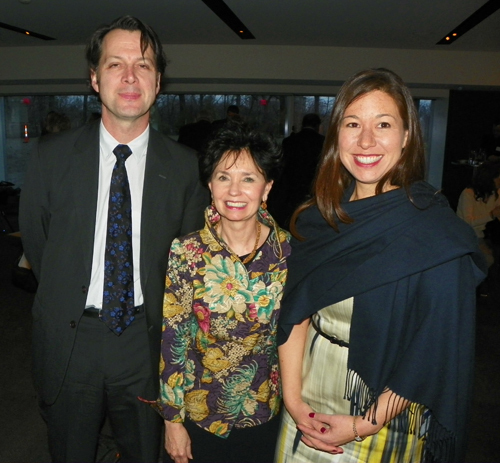 At a reception on February 27, 2013 The Cleveland Museum of Art introduced Sonya Rhie Quintanilla as Curator of Indian and Southeast Asian Art. Dr. Quintanilla gave previews of the collection, including the Ganesh and Tantra in Buddhist Art, that will be featured starting in May. 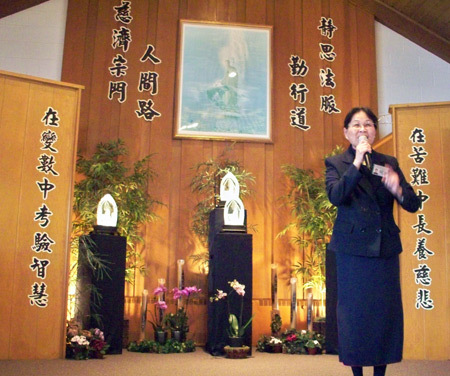 Japanese-American Buddhists, who resettled in the Cleveland area in 1943-44 after being released from World War II internment camps, established the oldest continually meeting Buddhist organization in Ohio. 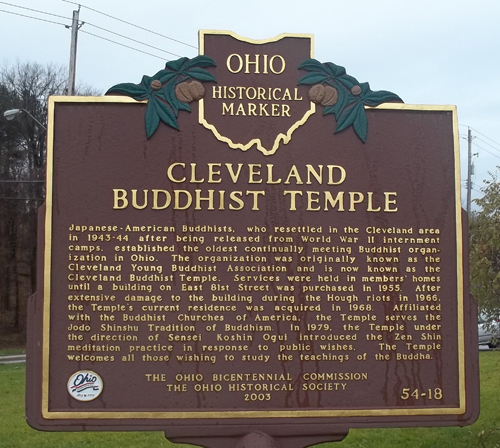 The organization was originally known as the Cleveland Young Buddhist Association and is now known as the Cleveland Buddhist Temple. Services were held in members' homes until a building on East 81st Street was purchased in 1955. After extensive damage to the building during the Hough riots in 1966, the Temple's current residence was acquired in 1968. 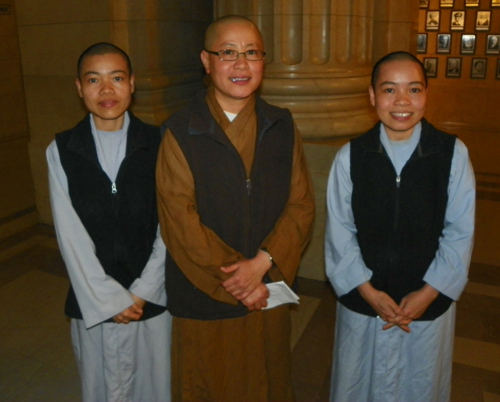 Affiliated with the Buddhist Churches of America, the Temple serves the Jodo Shinshu Tradition of Buddhism. In 1979, the Temple under the direction of Sensei Koshin Ogui introduced the Zen Shin meditation practice in response to public wishes. The Temple welcomes all those wishing to study the teachings of the Buddha. Work in progress - thank you for your patience. According to Wikipedia, Buddhism is a religion and philosophy encompassing a variety of traditions, beliefs and practices, largely based on teachings attributed to Siddhartha Gautama, commonly known as the Buddha (Pali/Sanskrit "the awakened one"). 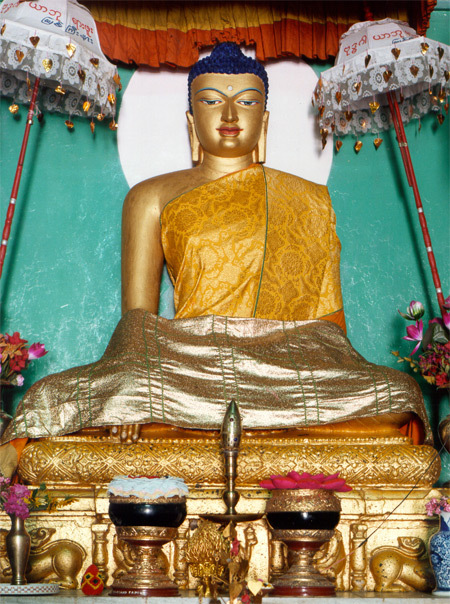 The Buddha lived and taught in the northeastern Indian subcontinent sometime between the 6th and 4th centuries BCE. 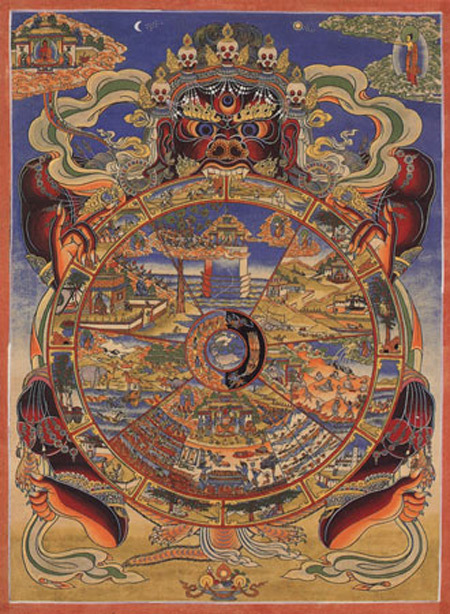 He is recognized by adherents as an awakened teacher who shared his insights to help sentient beings end suffering (or dukkha), achieve nirvana, and escape what is seen as a cycle of suffering and rebirth. Two major branches of Buddhism are recognized: Theravada ("The School of the Elders") and Mahayana ("The Great Vehicle"). Theravada�the oldest surviving branch�has a widespread following in Sri Lanka and Southeast Asia, and Mahayana is found throughout East Asia and includes the traditions of Pure Land, Zen, Nichiren Buddhism, Tibetan Buddhism, Shingon, Tendai and Shinnyo-en. In some classifications Vajrayana, a subcategory of Mahayana, is recognized as a third branch. While Buddhism remains most popular within Asia, both branches are now found throughout the world. Various sources put the number of Buddhists in the world at between 230 million and 500 million,making it the world's fourth-largest religion. 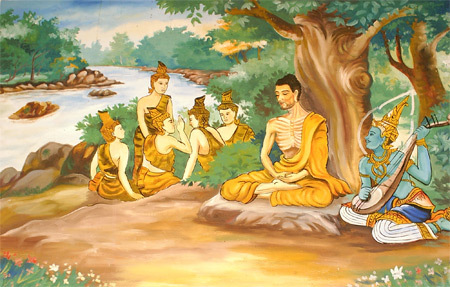 Wallpainting in a Laotian temple, depicting the Bodhisattva Gautama (Buddha-to-be) undertaking extreme ascetic practices before his enlightenment. A god is overseeing his striving, and providing some spiritual protection. The five monks in the background are his future 'five first disciples', after Buddha attained Full Enlightenment. 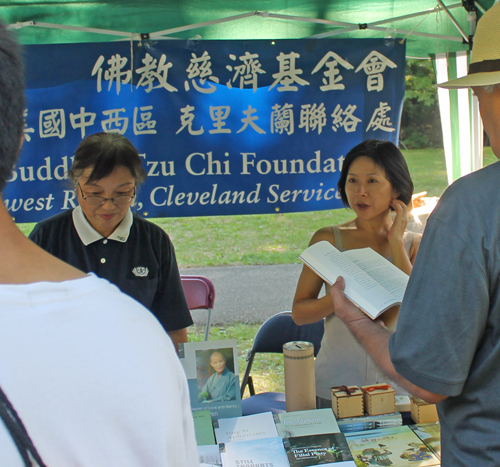 Submit your Cleveland Buddhist news and events. Submit your Cleveland Buddhist photos and event recaps. Submit your Cleveland Buddhist organizations and resources. Submit your Cleveland Buddhist jobs, classes and other opportunities. Submit your Cleveland Buddhist feedback and memories. 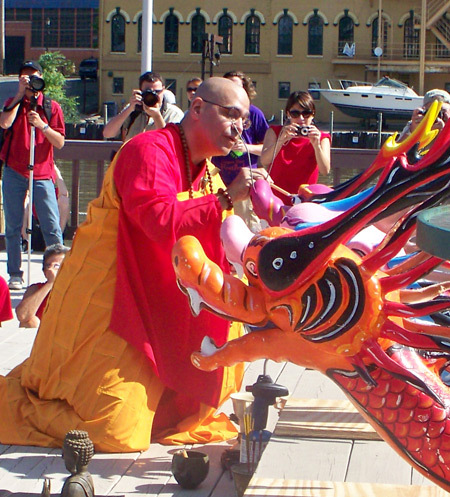 Submit your Cleveland Buddhist cultural items. If you are interested in being considered to be an official ClevelandPeople.com Ambassador to the Cleveland Buddhist community, please contact us. 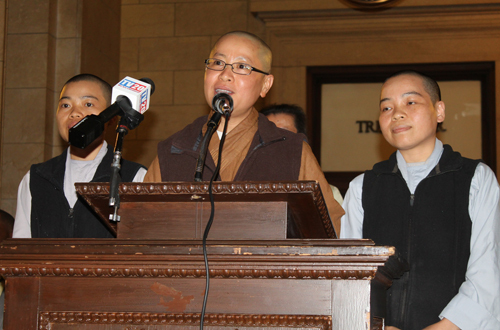 If you want to reach the Buddhist community in Cleveland and Northeast Ohio, please contact us.